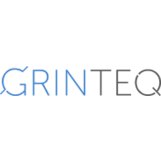 Grinteq offers bespoke software development services. We provide dedicated teams of senior developers who have a strong expertise in web&mobile development with a particular focus on e-commerce (Salesforce CommerceCloud and Magento). Due to our expertise in various domains and close partnerships with the best software teams in the CIS countries, we are able to bring to life a project of any difficulty. Our technology expertise includes PHP/Laravel/ Symphony/Zend/Drupal/WP, Python, Java, MEAN STACK, Swift, .NET etc. Start-ups: we provide cheap and lean options for development. We ensure the project"s security and guarantee the fulfillment of our obligations to our clients. Finding a right partner to take care of your IT needs is not easy. With Grinteq, you can rest assured your IT needs handled professionally.